2017 Cherry Blossom Package Specials | Travel Japan by H.I.S. Japan is a country with four distinctive seasons, each one highlighting a different but equally spectacular aspect of the country’s beauty. And the most renowned, of them all is Japan’s Spring season for its cherry blossoms. This is one of the most colourful events and celebrated in Japan. 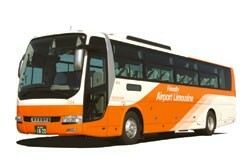 At the same time, people from foreign countries also visit Japan around this time of year to see the “Hanami”. It is not surprising that accommodation gets booked out so fast around this season. locals alike as their beautiful pink flowers blanket the country in sort, colourful splendor. Hanami (cherry blossom viewing)" in Japan often involves a picnic party to enjoy cherry blossoms as well as food and drinks. blossoms in full bloom make many people get higher than usual. But there are manners and a certain way to have a Hanami party. And a good preparation may help you to enjoy the party even more. 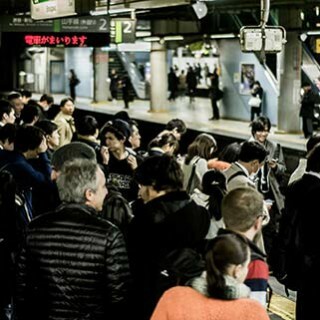 Why not enjoy spring in the Japanese way. Get food for a Hanami party at the basement food floor of department store. 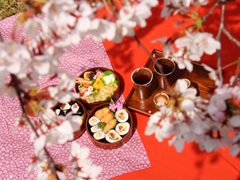 If you want to enjoy food at a Hanami party, Hanami bento is recommended. 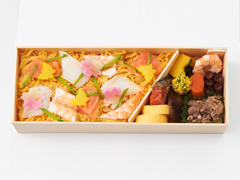 The bento for Hanami looks pretty as the colorful ingredients like carrot is cut in the shape of a cherry blossom petal. 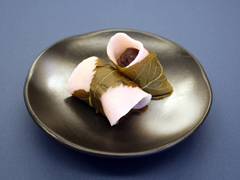 And as vegetables and fishes in season are used, you will be able to enjoy the taste of spring in Japan. 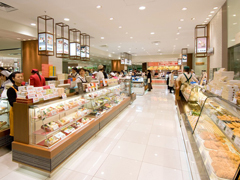 The basement food floor of department store is a good place to get a Hanami bento. You will find all sorts of food from Japanese to Western and many shops have a few types of Hanami bento. As there are so many choices, you will have a trouble choosing one. with lots of vegetables is available. no alcohol beverage is allowed in the park. 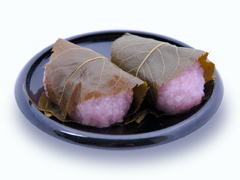 Cherry Blossom Season's Sweet "Sakura-mochi"
in Area of Kanto and Kansai is different, why not try both of them and see the difference. is made with flour and is baked. The texture of the wrapping is soft and moist. steamed and then roughly grinded. The rice cake has lumpy texture.